Would you like to add these items to your order? 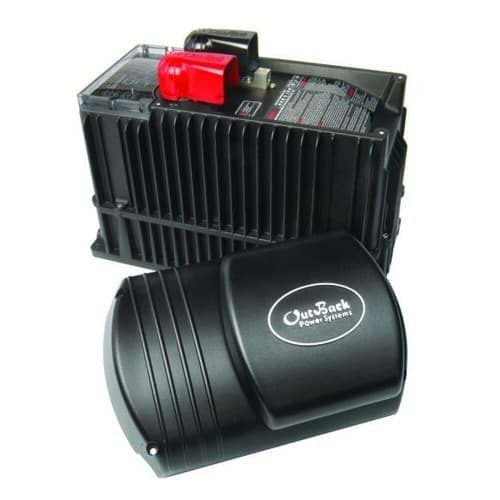 OutBack's Mobile and Marine inverter/charger provides the high performance and reliability you need no matter where your travels take you. Our die-cast metal construction allows mounting in any position, even upside down. The required AC input neutral/ground switching is taken care of by a fully integrated 30 amp AC transfer switch for shore chord or generator hook-up. Three circuit boards and a simple design make field servicing the unit easy no matter where you are. Rigorous testing at the factory ensures that each inverter/charger works the first time, as well as for many years to come.